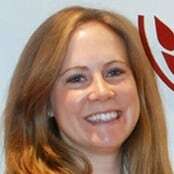 Rebecca earned her undergraduate degree in political science, and after working for a few years in the private sector she realized that she wanted a career with a social impact.She went to Geneva to earn an MBA focused in management of international organizations, and joined GAIN as an intern and later asan associate in large-scale food fortification. Over 2 billion people today suffer from some form of micronutrient malnutrition – a leading cause of several life-threatening human development consequences. While there are multiple interventions that help prevent micronutrient deficiencies, food fortification is universally recognized as one of the most cost-effective. This post explores some of the misconceptions around the practice.